You have just installed your brand new hardwood floor and it looks beautiful. You painted the walls, the trim and even replaced the window coverings. It is perfect, no scratches or blemishes and there is no fading from the sun or marks from cleaners or imprints from furniture and on. You might be thinking that you should just not use them, keep them pristine. Well they are going to get some marks and scratches, it cannot be helped, but you can limit the damage and get many years to of your floor before re-sanding is required. There are simple things you can do without finding it difficult or cramping your lifestyle and enjoyment of your home. It is relatively easy to do and becomes habit forming which will keep your floors looking great for many years. First remember that you have invested a lot of money and hardwood floors are a lifetime investment if looked after properly and they add a lot of value to your home as well. Most buyers are now looking for hardwood floor upgrades in their homes when they purchase them. Buyers are just not interested in doing their own upgrades preferring to purchase homes that are already with hardwood flooring that compliments the home. Buyers also want this floor to look pristine, shiny and great looking so that it will complement their furniture. Hardwood floors are also better for people with allergies. You may need to vacuum more often, but at least the dust is picked up instead of sitting in the carpet to be spread into the air each time you walk across it. If you do have allergies purchase a central vacuum with the exhaust of the vacuum exiting outside into your garage area or outside the home. This will reduce the dust significantly. If you want to keep your floors looking great for a life time, then its very important that you keep them clean and scratch free. Place area rugs or mats on areas in high traffic areas. Sweeping, mopping is very useful and so is vacuum cleaning to remove all grit and dirt that could scratch your floors. Periodic cleaning and following maintenance tips provided by the hardwood floor manufacturer is very helpful. Now-a-days we get a full instruction manual on how to clean the hardwood floors and maintain it so it will last for a long time. 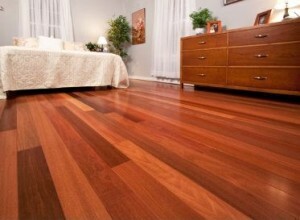 It is difficult to keep the hardwood floor scratch free and also free of marks. Cats will scratch the floor with their nails, grit on the floor will mark the floor if you step on it, men’s shoes and especially women’s high heels will leave marks on the floors. Never allow anyone to wear their shoes in the house! You may even want to go as far as providing slippers for people who like to wear their shoes. Never use water on the floor especially if the finish is already damaged. Water can also leave water stains, so clean up any spills immediately. If you must wash the floor use only damp rages so that there is no visible water left on the floor. Hardwood floors need regular and careful cleaning with suggested wood cleaners to enhance their life and beauty. It will serve you a long time, protect your floor, and protect your investment in your home. Take care of the floor and it will last for many years. Refinishing a hardwood floor can be expensive and the longer you can avoid this expense the better. thanks for these tips about keeping the hardwood floors clean. Wish we had thought of this a few years ago. Our floors although not that old do not look so good anymore.